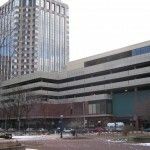 Springfield, Massachusetts is the second largest independent metropolitan area in Massachusetts–and third largest city overall–and is located about 90 miles west of Boston and a half hour north of Hartford, Connecticut. Like many old New England manufacturing centers, the Springfield area has fallen on some hard times in the last few decades, facing a loss of jobs and general disinvestment in the urban core. 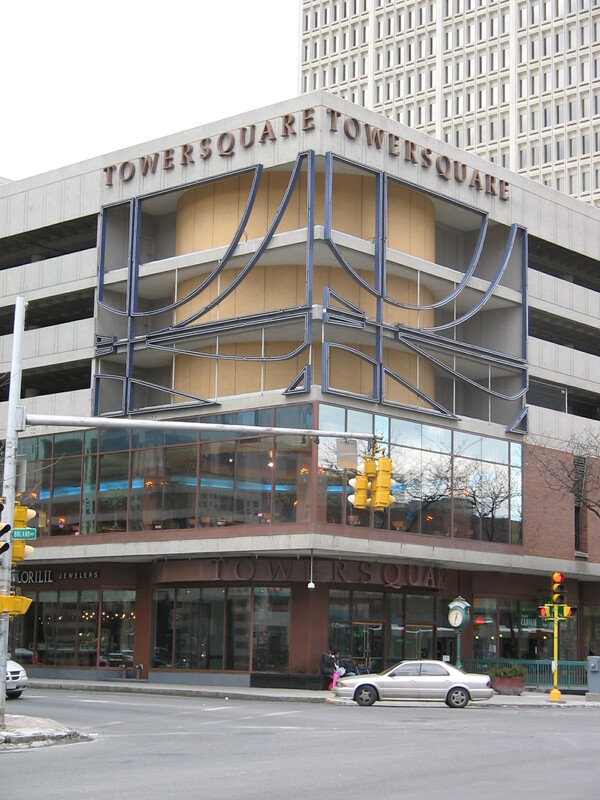 Tower Square–which was born as the Baystate West Mall–is a prime example of a common attempt 1970s at reviving an urban downtown. 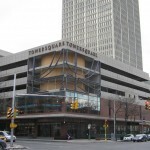 The mall opened in 1970 with about 200,000 square feet of retail space on two levels, but the low figure is somewhat misleading; the mall also adjoins a large Marriott Hotel and was built on a parcel in the center of downtown (at Main & Bridge Streets) between the city’s two flagship department stores: Forbes & Wallace and Steiger’s, and contained skywalks to connect to both. 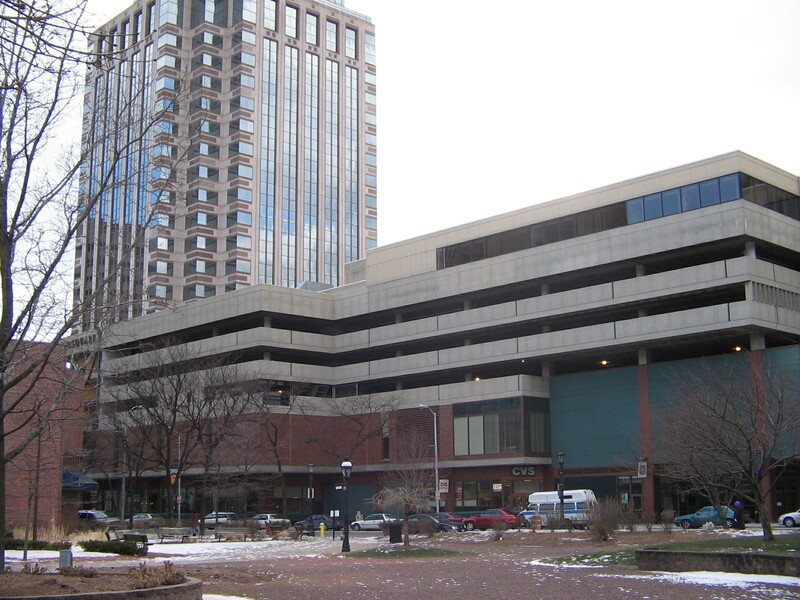 For a significant time during the 1970s and 1980s, Baystate West Mall helped stabilize downtown Springfield, and as a result the city appeared to be in much better shape than similar-sized urban areas like Providence which bled most of their retail base and street activity. 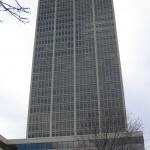 All was not completely well, however; Forbes & Wallace went out of business pretty early on, in the mid-1970s, and their building was demolished to be replaced with a large office complex. 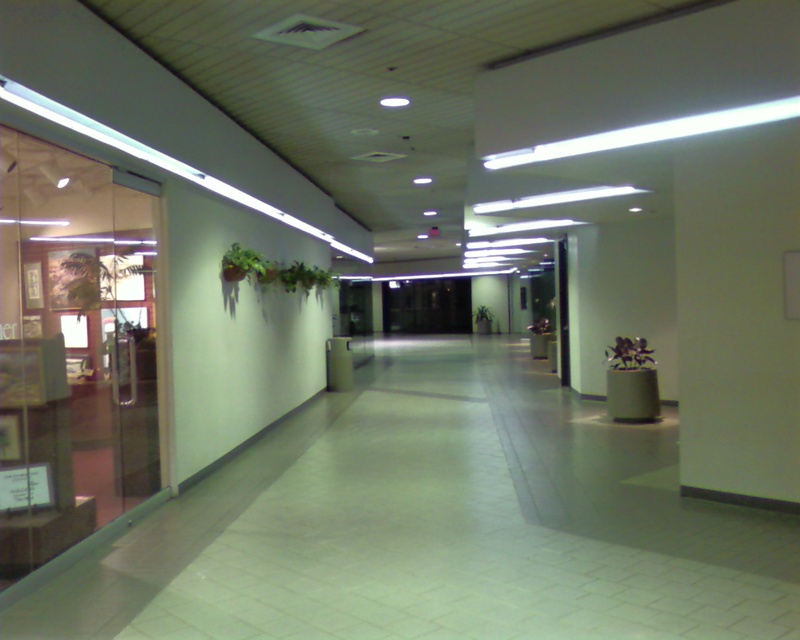 This paved the way for other, newer, larger suburban malls (especially the Holyoke Mall at Ingleside, but also the Fairfield Mall and two others) to begin to userp its audience. 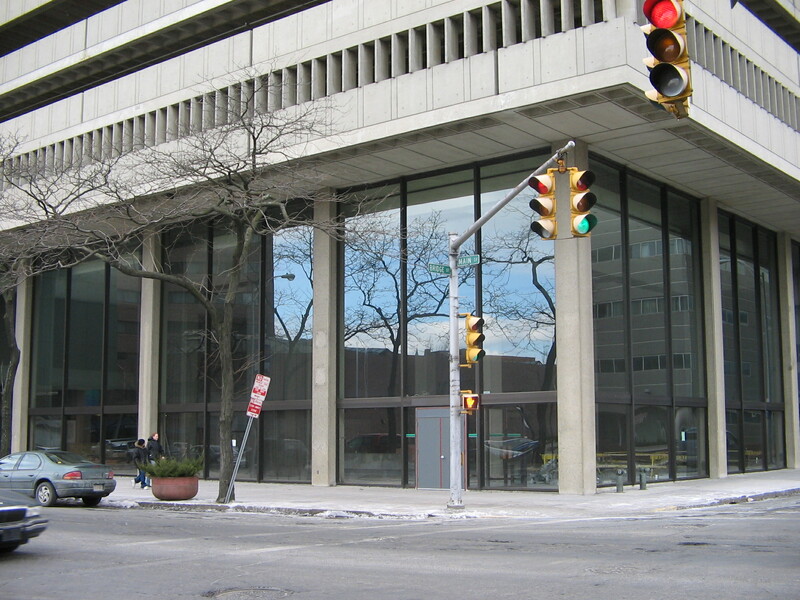 The real kiss of death for Baystate West’s retail dominance was the 1995 loss of Steiger’s. 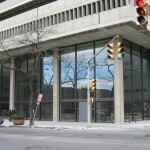 The May Company bought the chain in 1994 and re-branded their locations with the more well-known, Boston-based Filene’s nameplate, but the downtown Springfield store was dumped in the process. Several years later, Steiger’s art deco flagship store was demolished and replaced with a park. 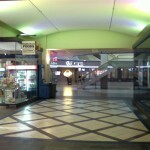 In the time since, the remains of Baystate West Mall became more of a convenience-oriented downtown mall with shops and services catering primarily to the downtown office and hotel crowd, with a busy food court and “essentials” type stores such as CVS, a bookstore, or Dunkin’ Donuts. 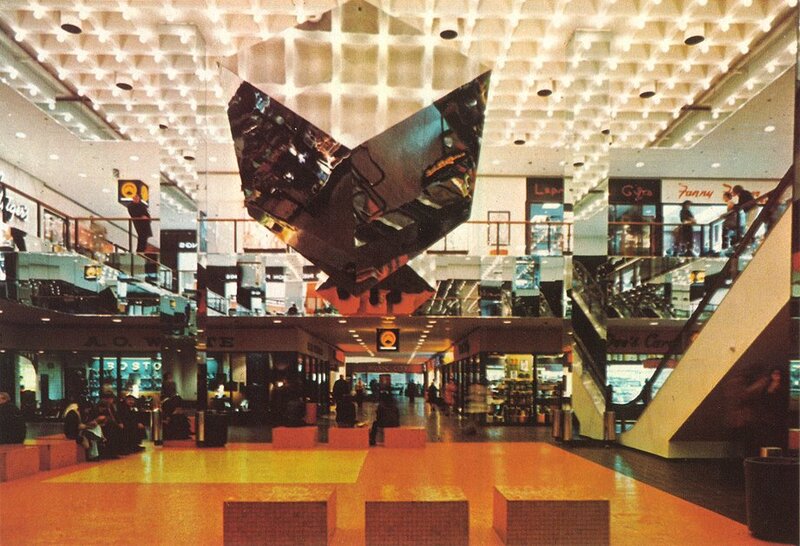 The 1970s vintage photo at the top of this page is from a period issue of Architectural Record on the mall, and highlights the giant rotating cube that hung in the center of the mall’s center court. 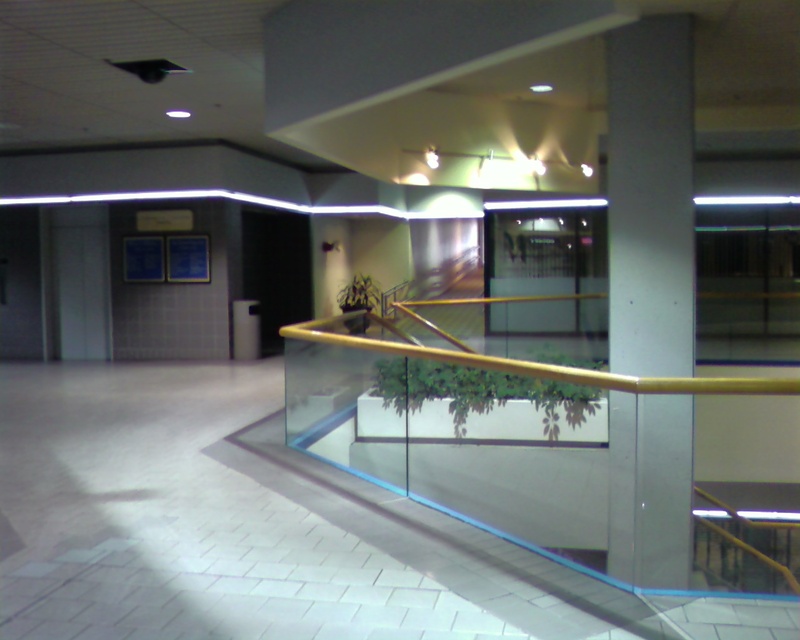 As you can see from my more modern photos (taken January 2007), it’s not quite so snazzy now: gone are the distinctive colors, and instead the mall has a more institutional, lobby-ish feel. 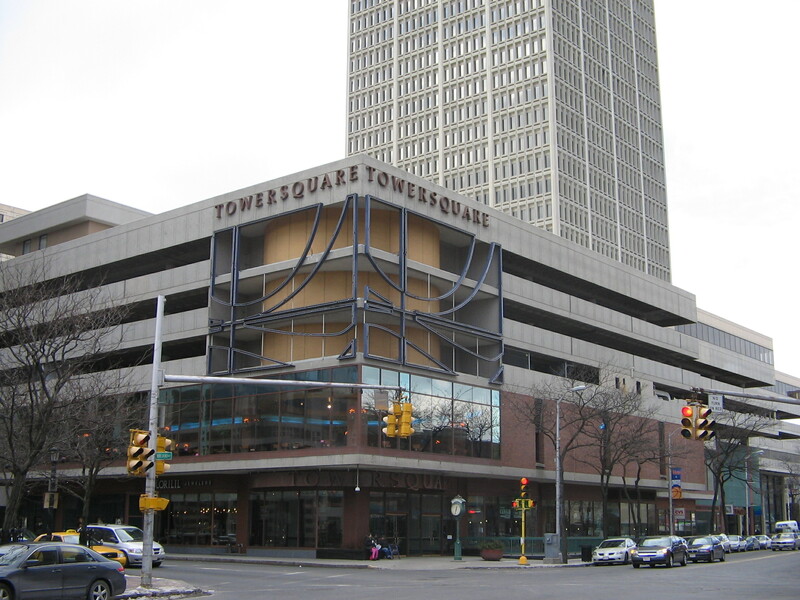 While some of the space is still devoted to retail–and the mall still gets some traffic due to the hotel and the downtown office crowd–it’s not really much of a mall anymore in its current “Tower Square” incarnation. 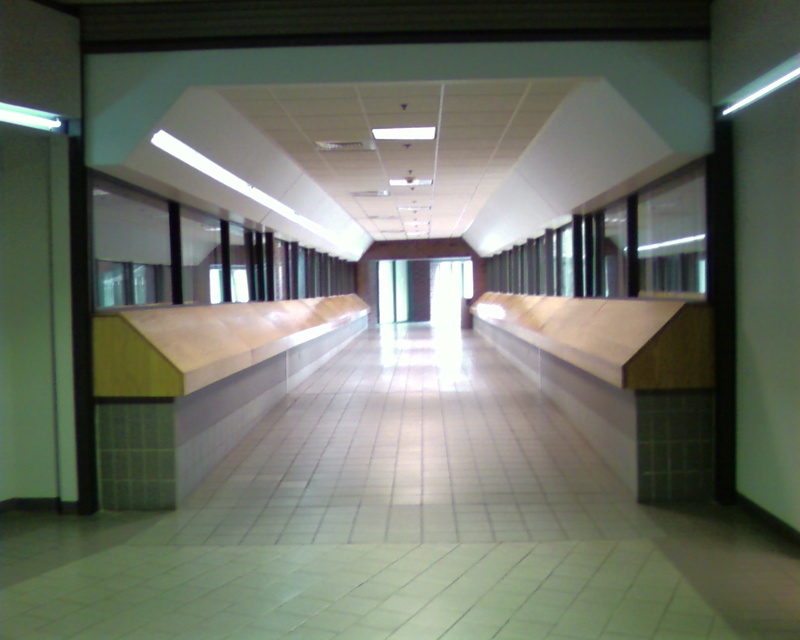 Deadmalls has a somewhat more complete write-up of Baystate West’s history, if you want more details. Dang. That’s pretty groovy at first. 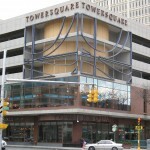 It may be dead, but at least it’s not torn down in favor of some neo-downtown “lifestyle center”. I’ve passed this mall a good 100 times along I-91 and always wanted to stop in — especially after seeing that somewhat infamous vintage shot of the concourse. 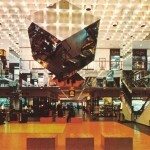 I did some research on the whereabouts of the center as of today finding it was mainly a shell of what it once was. Thanks for those images, you can see plenty of surefire 70s architectural punches (like the groovin’ octo and peaking solarium tunnels). Eerie to see it such a ghost town upon your visit, Jason. Wowz. 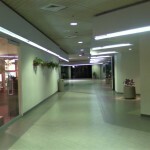 The mall website is pretty awesome, showing the stores, what’s inside, and a description. The CVS particularly looks old. 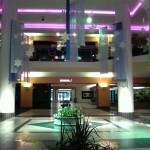 It sure seems like the restaurant listing is low for a downtown mall like this. 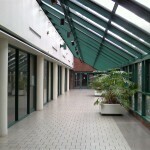 From what it appears, this mall has a building that only an owner could love…. 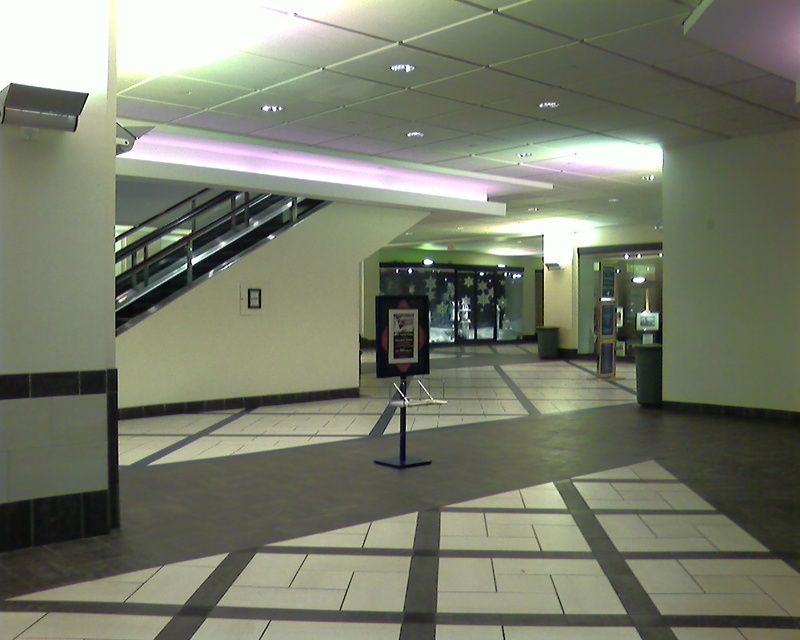 I went to this mall in 2007 while on a business trip. 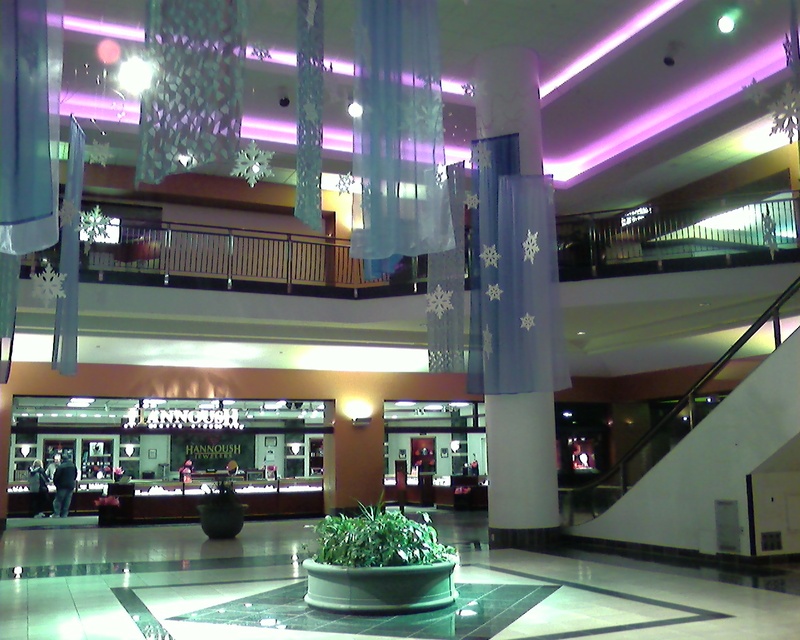 It’s attractive and at least has retail that a lot of downtowns don’t have- a few mall-type stores. 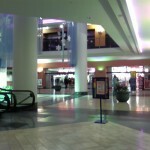 I’d say that it’s fared better than most ’70s malls that lose all anchors have usually done. 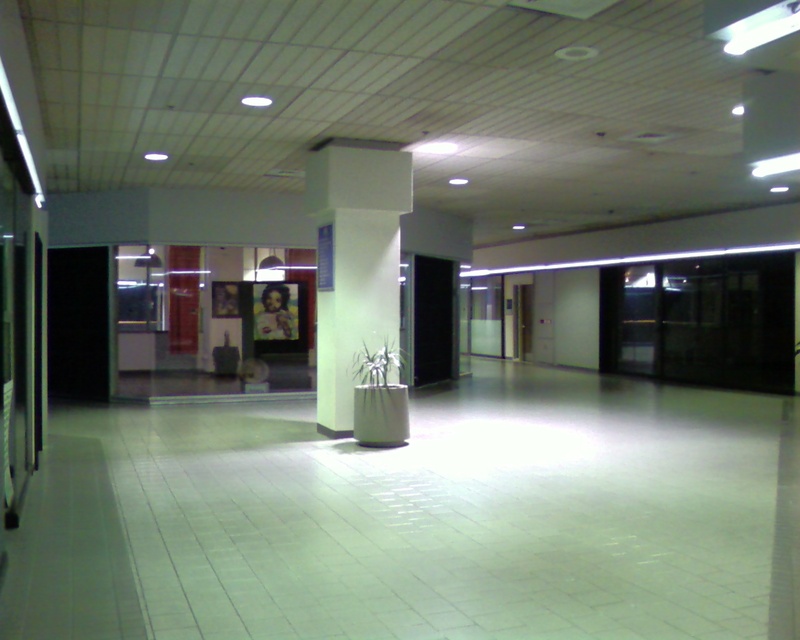 Also- I would NOT classify this as a dead mall. It’s like Founders Hall in Charlotte, NC- a retail space geared towards office workers, with some mall-type chains but some convenience-type retail as well. 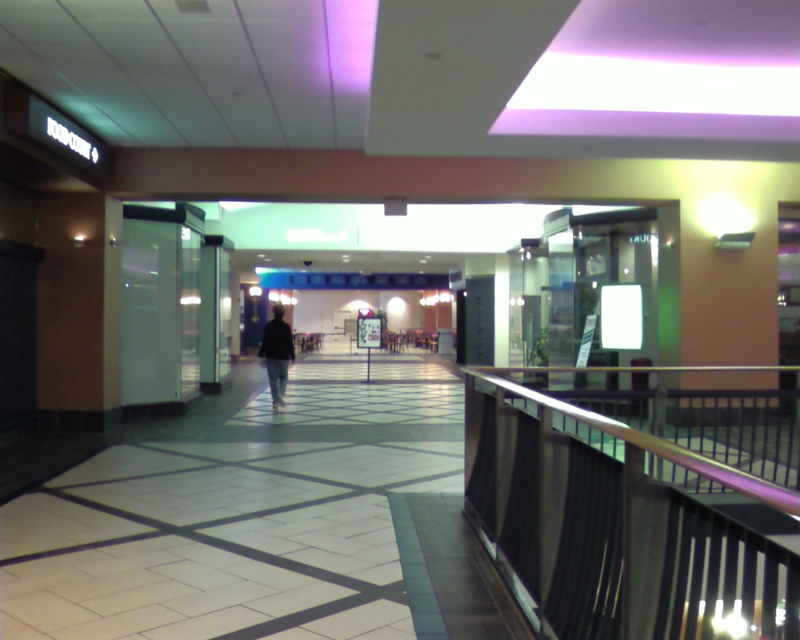 Compare it to Eastland or other truly dying malls. 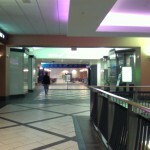 Cool to see a Massachusetts mall! It’s been a while. Can’t say I’ve ever been there, but I DO remember seeing that infamous cube in postcard form in the (sadly) dead blog Malls Of America. I sure wish I saw that cube live! I’m sorry I missed it. 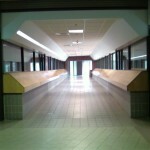 All those cool old mall pix and postcards…gone for good. I truly am sad. @Jonah Norason, Oh, awesome! Thanks for that link. I will be bookmarking it for sure! Hey, a big shoutout to ya, Jonah. I visited your new blog but don’t have the time at the moment to get appropriately registered to comment there. Many thanks! I am so glad that the images that Keith so lovingly collected and posted a few years ago will be retained on your new blog. 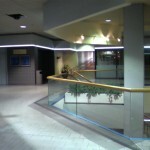 Steigers downtown location closed in spring 1994. I lived in Springfield sept 93 – may 1994 (I worked at stagewest for a season- theater was under the parking ramp to the north of the mall) and remember going to the closing store sale. I don’t think I bought anything but I remember seeing all the vintage holiday stuff they were unloading. 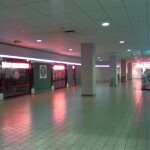 Even in the early 90s the mall was not a shopping destination mall. It mostly served downtown workers and was a place to get shoes fixed, pick up a paperback or best seller at waldenbooks, stop at cvs and there was a fashion bug/ dress barn type womens apparel store. 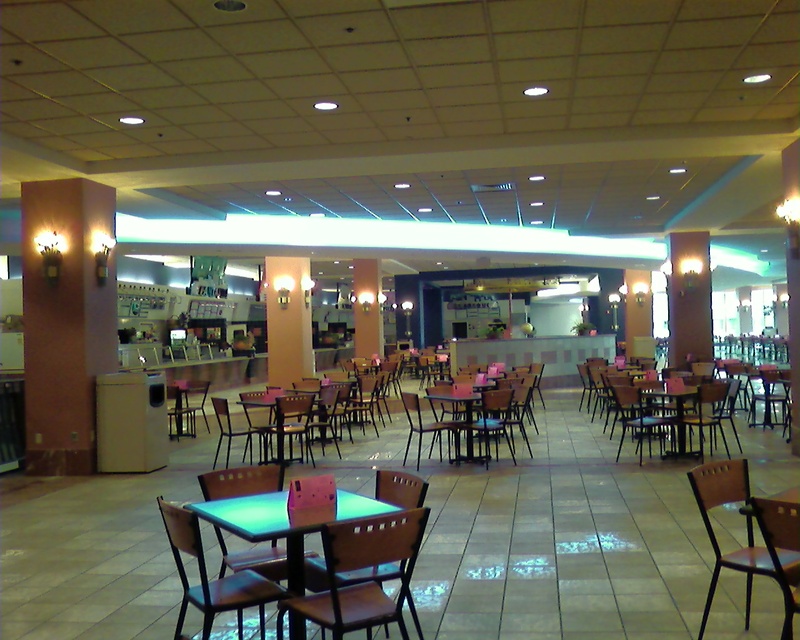 The food court was servicable. I have no recollection of mens clothing/ services or jewellry stores. 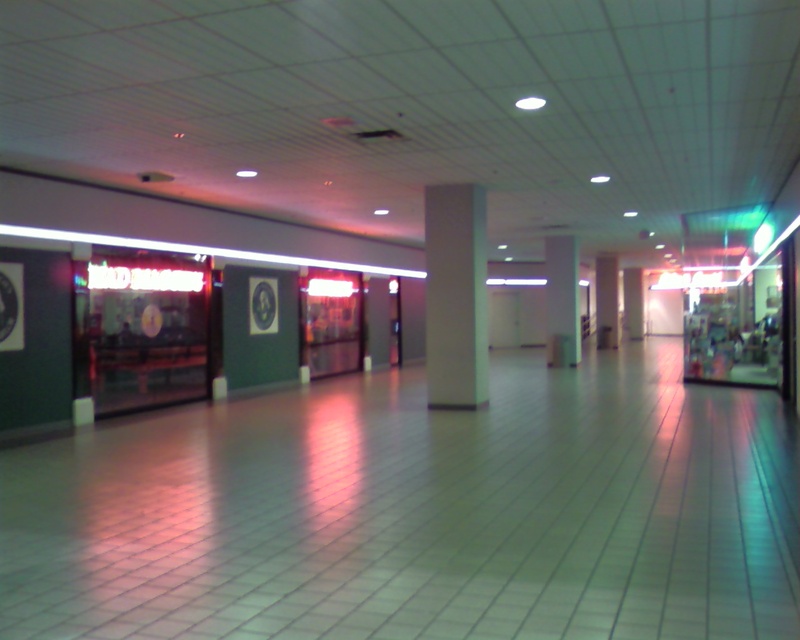 Well i can go waaaaaaaaaaaaay back even before this mall existed. I remember when they started to tear down the block to accomodate this. 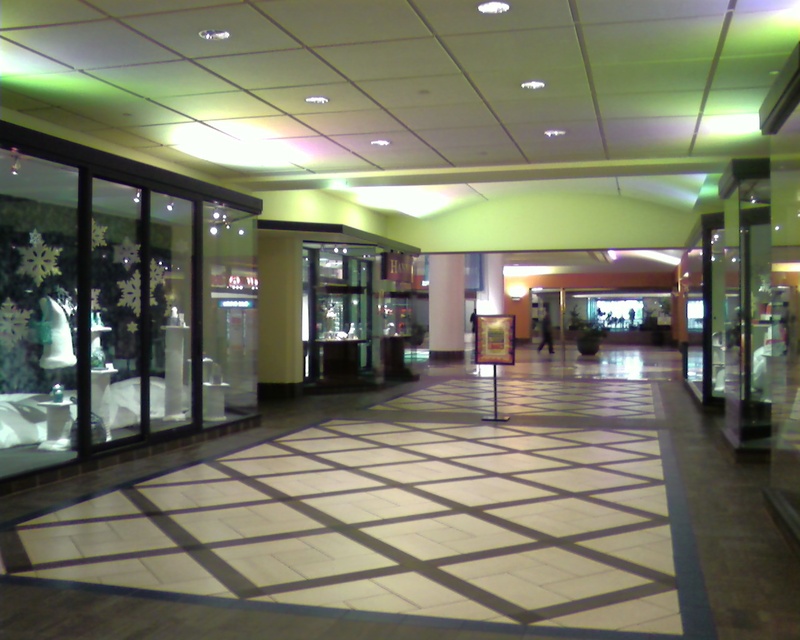 The mall opened up in fall of 1971, NOT 1970, as stated. Downtown was a magical place, believe me. Forbes & Wallace and Steiger’s were amazing. 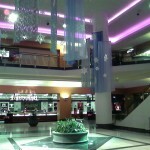 Baystate West Mall was nice in the 1970’s. It had some interesting and eclectic stores. Anyone remember Davids? Great Juniors clothes! Thrifty Cosmetics was expensive and they would watch you like a hawk, i just did not want to go in there. And I didn’t either. 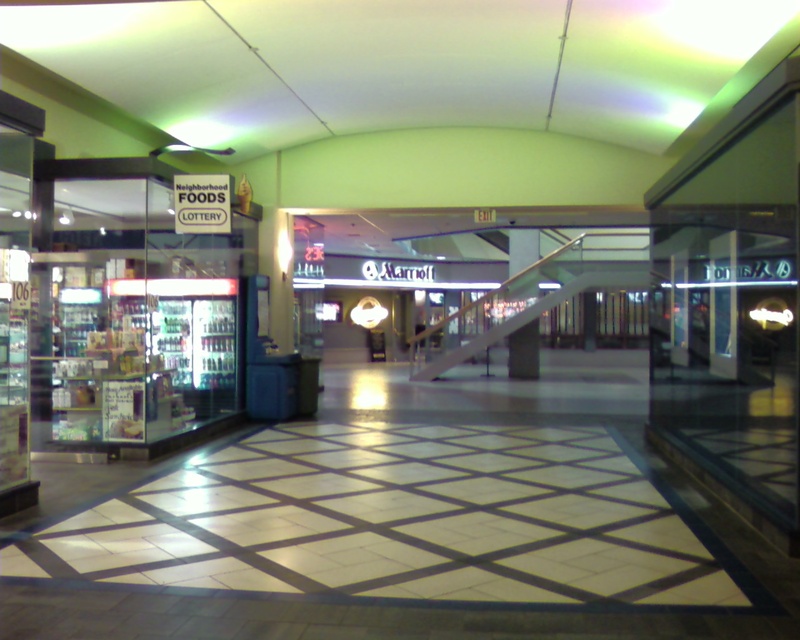 Mall Drugs (next to Steigers on the corner had the best lunch counter with square hamburgers that came with chips and a pickle for only 55 cents in the mid-late 1960’s. Springfield has revitalized considerably in the past 5-6 years. 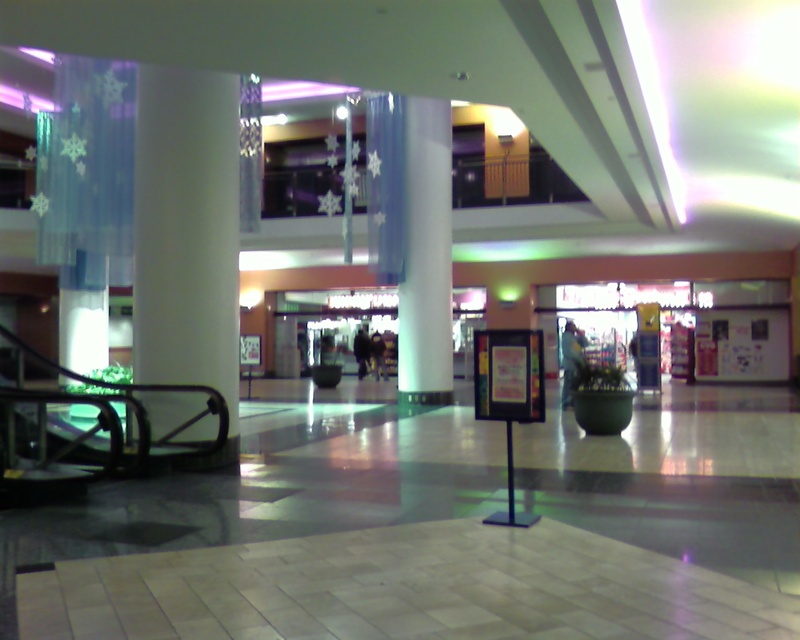 It would be cool if a movie theater moved into this mall, because most of the entertainment in Springfield is either high-cultue (Symphony, museums, theater,) or nightclubs and bars. In my opinion, there is too little entertainment for college-age kids. A supermarket would be great down here because many people are starting to live downtown again. 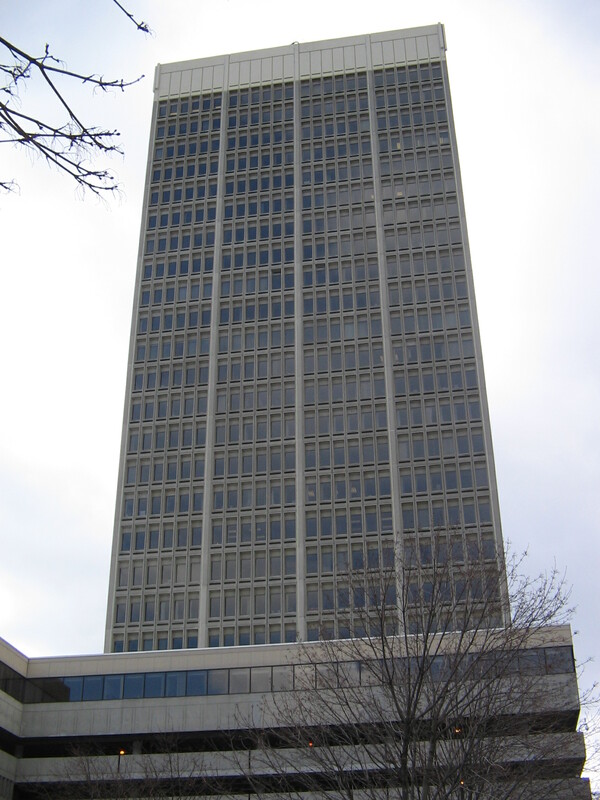 I remember getting my braces tightened by Paul J McKenna, 1979-81, 17th floor. Then going to Steiger’s for the Tea Room lunch, i could eat soup, a light sandwich and dessert. My grandmother and i would look all around Steiger’s. 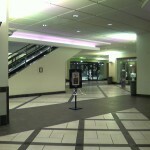 Petula Clark’s “Downtown” was played a lot, perfect for that mall! The bookstore was a favorite. Let’s not forget Johnson’s Bookstore, all levels, sit on the floor while checking out the books, we’d buy, and the 25 cent books, a bargain! I miss those days, once a month for tightening of the braces, great reason to go Steiger’s, my grandmother liked the dolls. She bought clothes for us on her Steiger’s card. Those were the days! 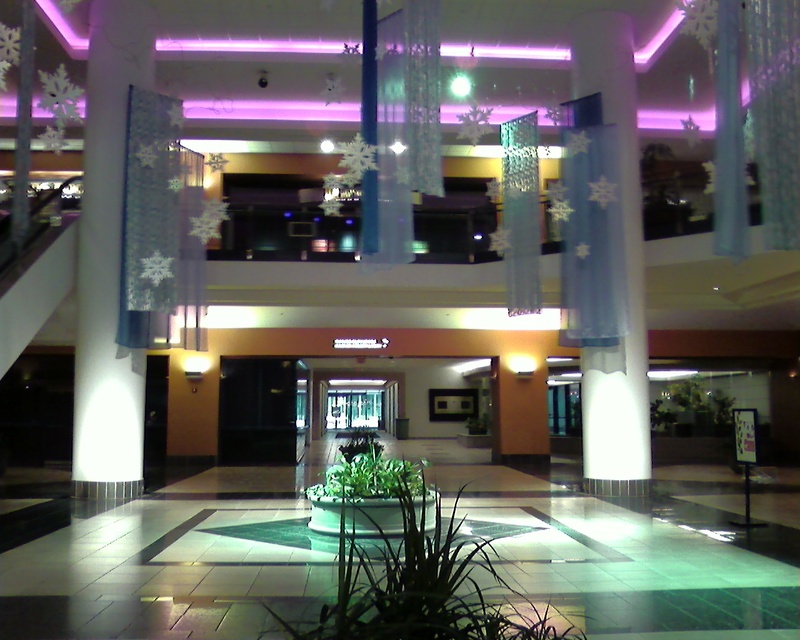 Thank you for your Baystate West photos, brought back lots of memories, the place was comfortable, relaxed, a shame that it has gone to dead mall status. 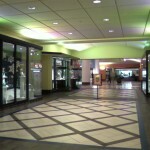 What was the name of the jewelry store that was in Baystate west in the 70’s? 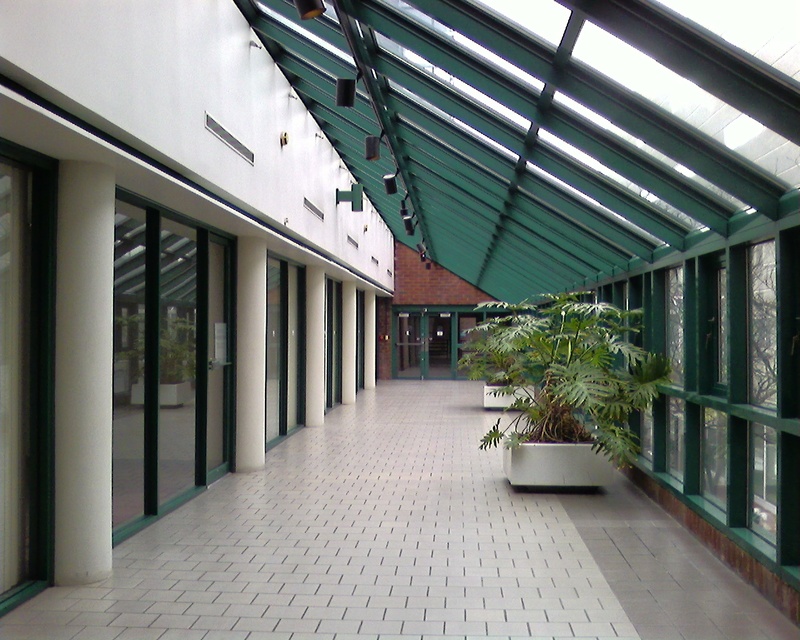 I recently enrolled at cambridge college which occupies a large chunk of this mostly-dead mall. There isn’t much going on here but maybe the college (which recently moved in there) will help revitalize it a bit. Its really a nice part of town (especially considering most of Spfld is a dump) and the building is lovely, its too bad there isn’t more going on there. I miss the Edward’s Book Store also the Soibadee Thai place altho i hate to admit that Thai Food and Heartburn go hand in hand for me. I miss the Friendly’s that used to be there . My Pepre and I would go to Baystate West every Christmas season to visit Santa,sometimes go to Fannie Farmer for candy,to Orange Julius for a hot Dog And A Orange Julius Drink,to Steigers for different Stuff. I still like the pizza place in the foodcourt. When I got my summer job at Riverside Park(now Six Flags New England) my dad Marty and I went to the Baybank that is where Nuvo is now and started my first checking account,then to gus and pauls for Breakfast. Why in God’s beloved name didn’t Macy’s just move into the former Steiger’s. 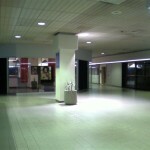 Then this Mall would be vibrant now. 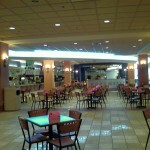 This mall should try to get a decent bunch of sitdown restaurants and specialty stores!